Jordan Brand is gearing up to celebrate Michael Jordan‘s famed championship ways with its upcoming “Championship Cigar and Champagne” pack. 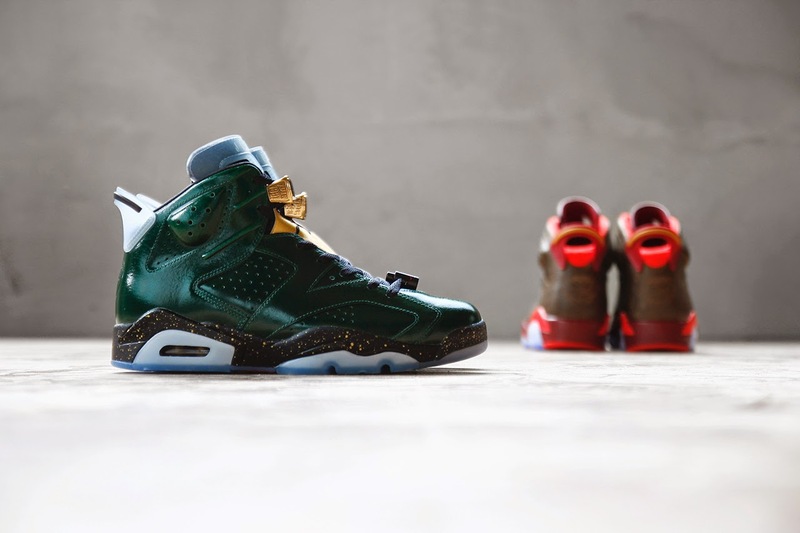 This two-pack features two pairs of the Air Jordan 6 Retro inspired by two hallmarks of a good celebration: cigars and champagne. 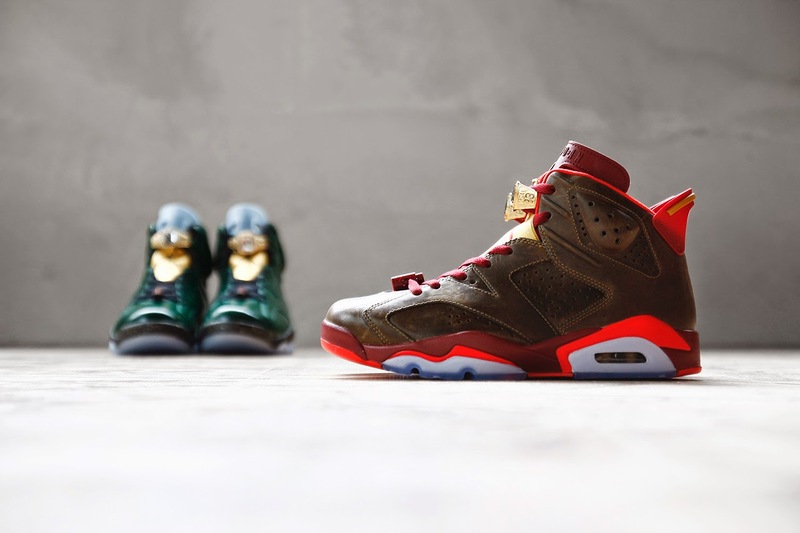 The “Championship Cigar” AJ6 features a rich brown leather upper with crimson and infrared accents, a gold championship ring lace lock, embossed heel stamp, and a cork insole. 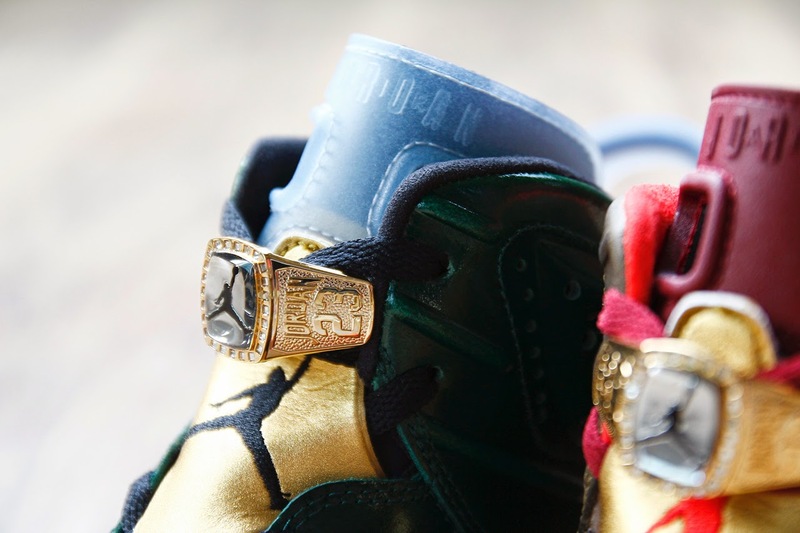 The “Champagne” AJ6 features a green patent leather upper with gold accents, a black and gold-speckled midsole, gold accents, translucent tongue and heel tab, and gold championship ring lace lock. No word on a release date yet but expect these to release in limited quantities later this summer.